Motivation has been defined as a desire or disposition to engage and persist in a task (Schunk, Pintrich, & Meece, 2014). When a student wants to read a history book on the Civil War, we can say that he or she is motivated to learn about American history. The student may learn, however, of a TV program about his favorite singer and decide not to engage in reading the history book on this particular day. Motivation thus refers to a state of being moved to do something, a movement that drives a person’s behavior. Students without motivation feel no impetus or inspiration to learn a new behavior and will not engage in any learning activities. Educational researchers have long recognized the role of motivation in learning and have studied motivation from various perspectives. Their efforts have produced a rich foundation of motivation theories. Early motivation theories reflected the traditional behaviorism approach, an approach that considered the basis of motivation to be rewards and punishments. Other theories looked at drives and needs. Over the last 30 years, however, researchers have studied motivation primarily from a social cognitive approach. This approach focuses on individuals’ beliefs and contextual factors that influence motivation. This chapter provides a brief overview of the major social-cognitive theories of motivation and discusses how the theories have informed the field of instructional design technology. The chapter concludes by introducing several technology examples designed to enhance student motivation. Expectancy-value theory suggests that the two most immediate predictors of achievement behaviors are expectancies for success and task value beliefs (Wigfield & Eccles, 2000). Expectancies for success refer to students’ beliefs of whether they will do well on an upcoming task (Wigfield, 1992). The more students expect to succeed at a task, the more motivated they are to engage with it. Such beliefs are closely related to but conceptually distinguished from ability beliefs. Ability beliefs are defined as students’ evaluations of their current competence at a given task. Ability beliefs are concerned with present ability whereas expectancies for success are concerned with future potential. Task value answers the question, “Why should I do this task?” There are four possible answers to the question: intrinsic value, attainment value, utility value, and cost (Wigfield & Eccles, 1992). Intrinsic value is pure enjoyment a student feels from performing a task. When they are intrinsically interested in it, students are willing to become involved in a given task. Attainment value refers to the importance of doing well on a task. Tasks are perceived important when they reflect the important aspects of one’s self. Utility value is the perception that a task will be useful for meeting future goals, for instance, taking a Chinese class to get a job in China. The last component of task value, cost, refers to what an individual has to give up to engage in a task or the effort needed to accomplish the task. If the cost is too high, students will be less likely to engage in a given task. For instance, students may not decide to take an extra course when they need to reduce the hours of their part-time job. Numerous studies have shown that students’ expectancies for success and subjective task values positively influenced achievement behaviors and outcomes (Dennissen, Zarret, & Eccles, 2007; Durik, Shechter, Noh, Rozek, & Harackiewicz, 2015; Wigfield & Eccles, 2000). For example, Bong (2001) reported that college students’ perceived competence was a significant predictor of their performance. Also, students’ perceived utility predicted future enrollment intentions. These relations have been also found in online learning environments. Joo, Lim, and Kim (2013) reported that perceived competence and task value of students enrolled in an online university significantly predicted learner satisfaction, persistence, and achievement. Self-efficacy is defined as people’s beliefs in their ability to perform a course of action required to achieve a specific task (Bandura, 1977). Self-efficacy is one of the strongest factors that drive one’s motivation. When students believe that they are competent to successfully accomplish a task, they are more motivated to engage in and complete the task. Numerous studies have shown that, compared to low-efficacy learners, high-efficacy students choose to engage in more challenging tasks, work harder, persist longer in the face of difficulties, and perform better (Bandura, 1997; Park & Huynh, 2015; Pintrich & De Groot, 1990). The concept of self-efficacy is similar to expectancies for success in expectancy-value theory. Both refer to the individuals’ judgments of their competence to accomplish an upcoming task. One difference is that self-efficacy conceptually represents a task-specific view of perceived competence, whereas expectancies for success tend to be domain specific (Wigfield & Eccles, 2000). For example, self-efficacy would not merely be a self-judgment of being good at mathematics but rather feeling competent at correctly subtracting fractions. Despite such conceptual differences, self-efficacy and expectancies for success are often used interchangeably. Bandura (1997) also noted that self-efficacy is different from self-confidence. Self-confidence is a belief about a person’s general capability that is not related to a specific subject. In spite of demonstrations of high self-confidence, a person can fail to accomplish a specific task. According to Bandura (1977), self-efficacy can be gauged through four sources—past performance, modeling, verbal persuasion, and psychological states. The strongest factor influencing self-efficacy is past experience with similar tasks. Successful performance on similar tasks enhances self-efficacy while failure experience lowers it. Self-efficacy can also be increased when one observes similar peers accomplishing similar tasks. Such experiences develop expectations that one can do the same thing as another person can. Although limited in its effectiveness, self-efficacy can be enhanced when a trustworthy person, such as a teacher, persuades or encourages students to try a challenging task. Finally, emotional states, such as anxiety, and bodily symptoms, such as sweating, can influence self-efficacy by signaling that students are not capable of accomplishing the task. These four sources of self-efficacy information do not directly influence individuals’ beliefs of competence. Individuals make their own interpretations of the events, and these interpretations form the basis for self-efficacy beliefs. Goal setting is a key motivational process (Locke & Latham, 1984). Goals are the outcome that a person is trying to accomplish. People engage in activities that are believed to lead to goal attainment. As learners pursue multiple goals such as academic goals and social goals, goal choice and the level at which learners commit to attaining the goals influence their motivation to learn (Locke & Latham, 2006; Wentzel, 2000). Besides goal content (i.e., what a person wants to achieve), the reason that a person tries to achieve a certain goal also has a significant influence on learning and performance. Goal orientations refer to the reasons or purposes for engaging in learning activities and explain individuals’ different ways of approaching and responding to achievement situations (Ames & Archer, 1988; Meece, Anderman, & Anderman, 2006). The two most basic goal orientations are mastery and performance goals (Ames & Archer, 1988). Different researchers refer to these goals with the following terms: learning and performance goals (Elliot & Dweck, 1988), task-involved and ego-involved goals (Nicholls, 1984), and task-focused and ability-focused goals (Maehr & Midgley, 1991). A mastery goal orientation is defined as a focus on mastering new skills, trying to gain increased understanding, and improving competence (Ames & Archer, 1988). Students adopting mastery goals define success in terms of improvement and learning. In contrast, a performance goal orientation focuses on doing better than others and demonstrating competence, for example, by striving to best others, using social comparative standards to make judgments about their abilities while seeking favorable judgment from others (Dweck & Leggett, 1988). In addition to the basic distinction between mastery and performance goals, performance goal orientations have been further differentiated into performance-approach and performance-avoidance goals (Elliot & Church, 1997; Elliot & Harackiewicz, 1996). Performance-approach goals represent individuals motivated to outperform others and demonstrate their superiority, whereas a performance-avoidance goal orientation refers to those who are motivated to avoid negative judgments and appearing inferior to others. Incorporating the same approach and avoidance distinction, some researchers have further distinguished mastery-approach and mastery-avoidance goals (Elliot & McGregor, 2001). Mastery-approach goals are related to attempts to improve knowledge, skills, and learning. In contrast, mastery-avoidance goals represent a focus on avoiding misunderstanding or the failure to master a task. For instance, athletes who are concerned about falling short of their past performances reflect a mastery-avoidance goal. Despite the confirmatory factor analyses of the 22 goal framework (Elliot & McGregor, 2001; see Table 1), the mastery-avoidance construct remains controversial and is in fact the least accepted construct in the field. Studies typically report that mastery-approach goals are associated with positive achievement outcomes such as high levels of effort, interest in the task, and use of deep learning strategies (e.g., Greene, Miller, Crowson, Duke, & Akey, 2004; Harackiewicz, Barron, Pintrich, Elliot, & Thrash, 2002; Wolters, 2004). On the other hand, research on performance-avoidance goals has consistently reported that these goals induced detrimental effects, such as poor persistence, high anxiety, use of superficial strategies, and low achievement (Linnenbrink, 2005; Urdan, 2004; Wolters, 2003, 2004). With regard to performance-approach goals, the data have yielded a mix of outcomes. Some studies have reported modest positive relations between performance-approach goals and achievement (Linnenbrink-Garcia, Tyson, & Patall, 2008). Others have found maladaptive outcomes such as poor strategy use and test anxiety (Keys, Conley, Duncan, & Domina, 2012; Elliot & McGregor, 2001; Middleton & Midgley, 1997). Taken together, these findings suggest that students who adopt performance-approach goals demonstrate high levels of achievement but experience negative emotionality such as test anxiety. Mastery-avoidance goals are the least studied goal orientation thus far. However, some studies have found mastery-avoidance to be a positive predictor of anxiety and a negative predictor of performance (Howell & Watson, 2007; Hulleman, Schrager, Bodmann, & Harackiewicz, 2010). Attribution theory considers the source of people’s motivation to be their perception of why they succeeded or failed. The theory assumes that people try to understand causal determinants of their own success and failures (Weiner, 1986). For example, people may attribute their success (or failure) to ability, effort, luck, task difficulty, mood, fatigue, and so on. These perceived causes of outcomes are called attributions (Weiner, 1986). Attributions may or may not be actual causes, and regardless of actual causes of the event, the perceived causes are what drive individuals’ motivation and behaviors. According to Weiner (2010), attributed causes for success and failure can be classified along three dimensions: locus, stability, and controllability. The locus dimension concerns the location of the cause, or whether a cause is within or outside the individual. Effort is internal to the learner, for example, whereas luck is external. The stabilitydimension refers to whether or not the cause is constant. Effort and luck are unstable because they can vary across situations, whereas ability is regarded as relatively stable. Lastly, the controllability dimension concerns how much control an individual has over a cause. Learners can control effort but not luck or task difficulty. The conceptual classification of causes for success and failure based on the three dimensions is central to the attribution theory of motivation because each dimension is related to a set of motivational, affective, and behavioral consequences. Locus of causality, for example, influences learners’ self-esteem and esteem-related emotions (Weiner, 1986). When a successful outcome is attributed to internal causes (e.g., ability, effort) and not external causes (e.g., luck), the students are more likely to take pride in the success and their self-esteem tends to be heightened. On the other hand, failure attributed to internal causes usually results in feelings of shame or guilt and a lowering of self-esteem. The stability dimension influences individuals’ expectancy for future success (Weiner, 1986). If success is attributed to a stable cause, one will expect to have the same outcome in the future. Failure attributed to a stable cause (e.g., low ability) will lower one’s expectancy for future success unless he or she believes the ability can and will increase. Attribution for failure to an unstable cause (e.g., “I did not try hard enough”) allows students to expect the outcome could change—as long as they put forth enough effort, they could succeed next time. The controllability dimension is also related to self-directed emotions (Weiner, 1986). When failure is attributed to a controllable cause (e.g., effort), one is likely to experience guilt and the desire to alter the situation. One will experience a feeling of shame or humiliation when failure is attributed to causes that are internal and uncontrollable (e.g., low ability). When attribution for failure is made to the causes that are external and uncontrollable, one is likely to feel helpless and depressed because he or she believes that nothing can change the situation. Thus, failure attribution to uncontrollable causes tends to decrease motivation and engagement. Self-determination theory focuses on different orientations of motivation that influence the quality of engagement (Deci & Ryan, 1985). According to the theory, motivation can differ not only in strength but also in orientation. The orientations of motivation refer to the different reasons that give rise to an inclination for an individual to do something. Students can be motivated to learn a new skill because they gain their parents’ approval or because learning the skills is necessary for their dream job. Based on the orientations of motivation, the theory categorizes motivation into several types. The two basic types of motivation are intrinsic motivation and extrinsic motivation (Ryan & Deci, 2000). Intrinsic motivation refers to a disposition to engage in a task for one’s inner pleasure. An example of intrinsic motivation is a student reading a history textbook for fun. It is human nature for people to engage in activities that they are intrinsically interested in. Intrinsic motivation often leads to high levels of engagement and performance (Deci & Ryan, 2000). According to the theory, intrinsic motivation emerges spontaneously from satisfying the basic psychological needs of autonomy, competence, and relatedness (Deci & Ryan, 1985). Autonomy is the psychological need to experience one’s behaviors as volitional and is self-endorsed. It is closely related to a feeling of freedom to determine one’s own behaviors. For example, choice over one’s actions can satisfy the need for autonomy; a feeling of autonomy can be undermined, however, by external rewards and threats (Deci & Ryan, 2000). Competence is the psychological need to feel efficacious in one’s pursuits of goals. A feeling of competence is facilitated by optimal challenges and positive feedback (Ryan & Deci, 2000). Relatedness refers to the inherent desire to experience a feeling of being connected to others. The need for relatedness is satisfied by feeling respected and cared for. Although it is clear that intrinsic motivation promotes learning, most learning activities are not intrinsically interesting to students. Students are often motivated to engage in an activity because it is instrumental to some outcomes separated from the activity itself, which indicates extrinsic motivation. An example of extrinsic motivation is a student who reads a history book for the exam in order to get good grades. In general, it is understood that because an action enacted by extrinsic motivation is controlled by an external factor, it leads to less productive learning behaviors and low-quality engagement compared to learning behaviors that ensue from intrinsic behaviors. However, self-determination theory asserts that extrinsic motivation is a differentiated construct. Extrinsic motivation can represent inner sources of an action and result in high-quality learning behaviors. The theory proposes four types of extrinsic motivation—external, introjected, identified, and integrated. These differ according to the degree to which the motivation is self-determined or autonomous (Ryan & Deci, 2000). The more autonomous a motivation is, the higher quality of engagement students demonstrate. Figure 1. Illustrates the types of motivation in a continuum with regard to the degree of autonomy. 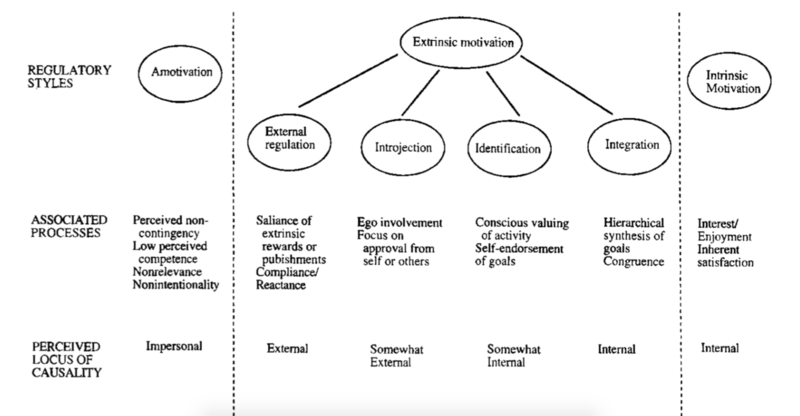 External motivation, located at the far left of the extrinsic motivation continuum in Figure 1, is characterized by behaviors enacted to achieve a reward or avoid a punishment. An example of external motivation is a student who skims a history book before an exam only to get good grades. Introjected motivation refers to behaviors performed to maintain a feeling of self-worth or to avoid a feeling of guilt. This type of motivation is still less autonomous because the behaviors are associated with an external locus of causality (e.g., pressure and obligation). On the other hand, identified motivation represents an autonomous type of extrinsic motivation. This type of motivation is signified when an individual perceives the value of an activity and considers it to be personally relevant. Finally, the most autonomous, self-determined form of extrinsic motivation is integrated motivation, which occurs when the identified value of an activity is fully integrated with a part of the self. Integrated regulation is similar to intrinsic motivation in terms of its degree of self-determination, though the two motivational constructs conceptually differ in their source of motivation. Integrated regulation is based on the internalized importance of the activity, whereas intrinsic motivation is based on inherent interest in the activity. Self-determination theory is unique in that it differentiates the construct of extrinsic motivation. The theory explains how to motivate students to carry out learning tasks that are not inherently interesting. The theory specifies three psychological needs—autonomy, competence, and relatedness—as the basis for sustaining intrinsic motivation and more self-determined extrinsic motivation. To the extent that students internalize and integrate external regulations and values, they experience greater autonomy and demonstrate high-quality engagement in learning activities. The most well-known antecedent of motivation is probably interest. We often see students saying that they do not learn because classes are boring and they are not interested in the topic. While we generally refer to “feeling of enjoyment” as interest in everyday language, researchers have differentiated interest into two types—individual (personal) and situational. Individual interest is a relatively enduring and internally driven disposition of the person that involves enjoyment and willingness to reengage with a certain object over time (Hidi & Renninger, 2006; Krapp, 2005; Schiefele, 1991). Schiefele (2001) conceptualized individual interest as including both positive feelings (e.g., enjoyment) and the value-related belief that the object is personally important. Situational interest, on the other hand, refers to a temporary psychological state aroused by contextual features in the learning situation (Hidi & Renninger, 2006; Schiefele, 2009). When a student is lured by a catchy title to a news article, his or her interest is triggered by the environmental stimuli. Individual interest can also be supported by a particular situation, but it continues to be present without the situational cues. Hidi and Renninger (2006) proposed a four-phase model of interest development describing how interest develops from transient situational interest into stable individual interest. In the first phase, situational interest is sparked by environmental features such as novel, incongruous, or surprising information, which is called triggered situational interest. Triggered situational interest provokes attention and arousal only in the short term. The second phase is referred to as maintained situational interest, which involves focused attention and persistence over a longer period of time. Situational interest is sustained when a person finds the meaningfulness of tasks or personal connections to the tasks. Only maintained situational interest can develop into long-term individual interest. The third phase of interest development is called emerging individual interest, marking a transition to individual interest. This phase is characterized by an individual’s tendency to reengage with tasks and to generate his or her own curiosity questions without much external support as well as the individual’s (?) positive feelings. The last phase is referred to as well-developed individual interest, a person’s deep-seated interest that involves a tendency to engage, with positive feelings, with a topic over an extended period of time. Although the four-phase model of interest development has been generally accepted, the model is underspecified and has received limited empirical support. For example, the model does not provide a psychological mechanism explaining how the transition to the next phase occurs. More research is needed to achieve a better understanding of interest development. Much research on interest has focused on examining the relationship between interest and text-based learning. Studies that have investigated the effects of situational interest have reported a moderate correlation between text learning and text-based features that facilitate situational interest; such a relation is independent of other text-based factors such as text length, nature of text, readability, and so on (Schiefele, 1996). Research on the effects of individual interest yielded results similar to those found with situational interest. Schiefele (1996) reported in his meta-analysis an average correlation of .27 between individual interest (i.e., topic interest) and text-based learning. The effects of individual interest on text learning were not influenced by other factors (e.g., text length, reading ability) but were less prominent than the effects of prior knowledge on learning (Schiefele, 2009). These various motivation theories show that motivation is complex and multidimensional. Also, motivational states can be influenced by various factors in an environment. This means that students’ lack of motivation can be caused by various sources. As such, in order to design an intervention to promote student motivation, it is indispensable to identify the sources of low motivation in a given situation. Designing strategies to influence people’s motivation is a problem-solving process. Like the traditional instructional design process, motivational design includes a systematic process of identifying goals (or motivational problems), developing strategies for goal attainment (of addressing motivational problems), and evaluating the outcome of the strategies. Within the instructional design and technology community, the most well-known motivational design model is John M. Keller’s (1987) ARCS model. The shared attributes of the different motivational concepts constitute the acronym ARCS, attention, relevance, confidence, and satisfaction, representing Keller’s four categories of learner motivation (Keller, 2010). The ARCS model describes strategies for stimulating and sustaining motivation in each of the four categories as well as a systematic process of motivational design. The first category, attention, is related to stimulating and maintaining learners’ interests. Learner’s attention is required before any learning can take place. This attention should also be sustained in order to keep learners focused and engaged. Keller (2010) describes three categories of attention-getting strategies: perceptual arousal, inquiry arousal, and variability. Perceptual arousal refers to capturing interest by arousing learners’ senses and emotions. This construct is conceptually similar to triggered situational interest in Hidi and Renninger’s (2006) development of interest. Likewise, perceptual arousal is usually transitory. One of the most common ways to provoke perceptual arousal is making an unexpected change in the environment. Example tactics include a change in light, a sudden pause, and presenting a video after text-based information in an online learning environment. Inquiry arousal, similar to the construct of maintained situational interest, refers to a cognitive level of curiosity. Students are cognitively attracted to learning materials, for instance, when they contain paradoxical facts. Variability concerns variation in instructional methods. No matter how effective motivational tactics are, they lose their potency when used unvaryingly. The second category, relevance, refers to making the learning experience personally relevant or meaningful. According to the goal theory, students engage in learning activities that help to attain their goals (Locke & Latham, 1984). Also, as described in expectancy-value theory and self-determination theory, the perceived value of task is a critical antecedent of motivation (Deci & Ryan, 2000; Wigfield & Eccles, 1992). One way to establish the perceived relevance of the learning materials is to use authentic or real-world examples and assignments. Simply relating the instruction to what is familiar to learners (e.g., prior knowledge) can also help learners to perceive its relevance. The confidence category is pertinent to self-efficacy and expectancies for success of the expectancy-value theory. According to self-determination theory, the feeling of competence is one of the basic human needs (Ryan & Deci, 2000). If the learners’ need for competence is not satisfied during learning, they would develop low expectancies for success and demonstrate low self-efficacy, which results in poor motivation to learn (Bandura, 1997; Wigfield & Eccles, 2000). Strategies to enhance self-efficacy, such as experience of success, can be applied in order to build confidence in instruction. Another way to enhance confidence is to foster learners’ belief that they have control over their performance. Autonomy support such as providing choices and making internal, controllable attributions are a few examples. The last category, satisfaction, concerns learner’s continued motivation to learn. If they experience satisfying outcomes, students are likely to develop a persistent desire to learn (Skinner, 1963). Satisfying or positive consequences of instruction can result from both extrinsic and intrinsic matters (Ryan & Deci, 2000). High grades, certificates, and other tangible rewards are the most common extrinsic outcomes. However, these extrinsic rewards may not always result in feelings of satisfaction. For example, a student is not pleased at the high score that he or she received on a final exam because the test was extremely easy and most students did well. If the extrinsic rewards fail to fulfill learners’ inner needs, students won’t be satisfied. Such intrinsic consequences that lead to satisfaction include a feeling of mastery and the pleasure of accomplishing a challenging task. Besides identifying the four major categories of motivational design, the ARCS model describes 10 steps for a systematic process of motivational design (Keller, 2010). The first four steps are the analysis process. This includes acquisition of course and audience information and analysis of audience motivation and existing materials. The main goal of these steps is to identify motivational problems. The next four steps (Step 5 through Step 8) correspond to the design phase in the traditional instructional design process. The first task in the design phase is to determine the motivational behaviors of learners that you wish to observe based on the motivational problems identified in the previous steps. Then, you select or design motivational tactics that help to achieve the objectives and can be feasibly incorporated into instruction. One important task is to integrate these tactics into instructional materials. Designers are to determine where and how to insert the motivational tactics in the instruction. In this process, they may need to modify the design of instruction. Steps 9 and 10 are the development and evaluation phases. After identifying the motivational tactics to use, designers will develop the actual motivational materials. Lastly, they will evaluate the effectiveness of the embedded motivational tactics, for instance, by collecting learner’s reactions to the learning materials. 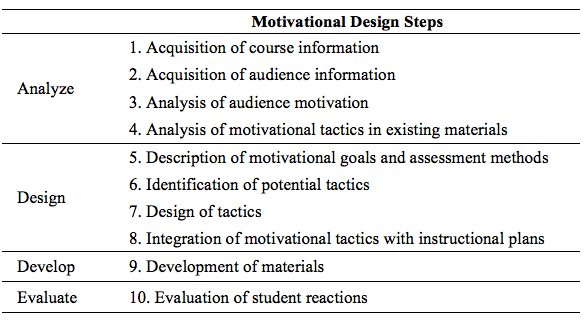 Table 2 summarizes the steps of motivational design. There are various technologies that have been developed to enhance learners’ motivation. Educational games are one of them. Games contain many attributes that promote motivation and thus people tend to be intrinsically motivated to play games (Prensky, 2001; Tüzün, Yilmaz-Soylu, Karakus, & Înal, & Kizlkaya, 2009). As such, games have long been adopted within an educational context and been found to have a positive impact on learning. Not every game, though, is motivating; games should be designed carefully by applying motivational strategies grounded in theories of motivation (Butler, 2017; Dickey, 2007; Kirriemuir, 2002; Prensky, 2001). Here, I provide a few recent technologies that have been developed specifically to influence learner motivation. Van der Meij, van der Meij, and Harmsen (2015) developed a motivational animated pedagogical agent (MAPA) to promote students’ perceived task relevance and self-efficacy in an inquiry learning environment. In the study, students used SimQuest to learn kinematics in a physics class and MAPA was presented in SimQuest with a face and an upper body visible. Acting as a fellow student, MAPA delivered motivational audible messages to students. The motivational messages were designed based on strategies for enhancing relevance and confidence described in the ARCS model. The study reported a significant increase in students’ self-efficacy after using MAPA (van der Meji et al. 2015). Kim and Bennekin (2013, 2016) developed a Virtual Change Agent (VCA) that provided support for community college students’ motivation and persistence in online mathematics courses. The VCA was an animated, human-like, three-dimensional character that delivered messages containing strategies based on theories of motivation, volition, and emotional regulation. For example, the VCA told students a story of applying mathematics for comparing cell phone plans in order to arouse students’ interest and curiosity. After using the VCA, students showed a significant increase in their self-efficacy and perceived value of learning mathematics (Kim & Bennekin, 2013). Another similar technology called Virtual Tutee System (VTS) was designed to facilitate college students’ reading motivation and engagement (Park & Kim, 2012). In the VTS, students become a tutor of a virtual tutee (a human-like virtual character) and teach the tutee about the content they have learned from readings. Capitalizing on the motivational aspects of learning-by-teaching effects, the VTS-embedded strategies support the needs for autonomy, competence, and relevance described in self-determination theory. The VTS was used in a few studies and found to promote students’ reading engagement and their deep learning (Park & Kim, 2015, 2016). Motivation is a so-called prerequisite to learning. As such, it has long been of interest among many educational researchers. This chapter introduced social cognitive theories of motivation. These theories, which continue to expand, have contributed significantly to the understanding of learner motivation. The theories of motivation have also yielded important implications for the instructional design process. In particular, Keller’s ARCS model specifies how we take learner motivation into account when designing instruction. Expanding upon Keller’s work, researchers have devised many technologies that aim to boost learner motivation. This chapter has presented an introduction to a few of those technologies. Butler, Y. G. (2017). Motivational elements of digital instructional games: A study of young L2 learners’ game designs. Language Teaching Research, 21(6), 735-750. Dennissen, J. J. A., Zarret, N. R., & Eccles, J. S. (2007). I like to do it, I’m able, and I know I am: Longitudinal couplings between domain-specific achievement, self-concept, and interest. Child Development, 78, 430–447. Dickey, M. D. (2007). Game design and learning: a conjectural analysis of how massively multiple online role-playing games (MMORPGs) foster intrinsic motivation. Educational Technology Research & Development, 55, 253-273. Durik, A. M., Shechter, O. G., Noh, M., Rozek, C. S., & Harackiewicz, J. M. (2015) What if I can’t? Success expectancies moderate the effects of utility value information on situational interest and performance. Motivation and Emotion, 39(1), 104-118. Elliot, A. J., & Harackiewicz, J. M. (1996). Approach and avoidance achievement goals and intrinsic motivation: A mediational analysis. Journal of Personality and Social Psychology, 70, 461–475. Howell, A. J., & Watson, D. C. (2007). Procrastination: Associations with achievement goal orientation and learning strategies. Personality and Individual Differences, 43, 167-178. Joo, Y. J., Lim, K. Y., & Kim J. (2013). Locus of control, self-efficacy, and task value as predictors of learning outcome in an online university context. Computers & Education, 62, 149-158. Keller, J. M. (1987). Development of use of the ARCS model of motivational design. Journal of Instructional Development, 10(3), 2-10. Kim, C., & Bennekin, K. N. (2013). Design and implementation of volitional control support in mathematics courses. Educational Technology Research & Development, 61, 793-817. Kim, C., & Bennekin, K. N. (2016). The effectiveness of volition support (VoS) in promoting students’ effort regulation and performance in an online mathematics course. Instructional Science, 44(4), 359-377. Kirriemuir, J. (2002). Video gaming, education and digital learning technologies. D-Lib Magazine, 8(2). Linnenbrink-Garcia, L., Tyson, D. F., & Patall, E. A. (2008). When are achievement goal orientations beneficial for academic achievement? A closer look at moderating factors. International Review of Social Psychology, 21, 19–70. Locke, E. A., & Latham, G. P. (1984). Goal setting: A motivational technique that works! Englewood Cliffs, NJ: Prentice-Hall. Maehr, M. L., & Midgley, C. (1991). Enhancing student motivation: A schoolwide approach. Educational Psychologist, 26(3), 399–427. Maehr, M. L., & Zusho, A. (2009). Achievement goal theory: The past, present, and future. In K. R. Wentzel & A. Wigfield (Eds.) Handbook of motivation at school (pp.77-104). New York, NY: Routledge. van der Meij, H., van der Meij, J., and Harmsen, R. (2015). Animated pedagogical agents effects on enhancing student motivation and learning in a science inquiry learning environment. Educational Technology Research & Development, 63, 381-403. Middleton, M. J., & Midgley, C. (1997). Avoiding the demonstration of lack of ability: An underexplored aspect of goal theory. Journal of Educational Psychology, 89(4), 710–718. Park, S. W., & Kim, C. (2015). Boosting learning-by-teaching in virtual tutoring. Computers & Education, 82, 129-140. Park, S. W., & Kim, C. (2016). The effects of a virtual tutee system on academic reading engagement in a college classroom. Educational Technology Research and Development, 64(2), 195-218. Prensky, M. (2001). Digital game-based learning. New York, NY: McGraw-Hill. Schiefele, U. (1996). Topic interest, text representation, and quality of experience. Contemporary Educational Psychology, 21, 3–18. Schiefele, U. (2001). The role of interest in motivation and learning. In J.M. Collis & S. Messick (Eds. ), Intelligence and personality: Bridging the gap in theory and measurement (pp. 163–194). Mahwah, NJ: Lawrence Erlbaum Associates, Inc.
Schiefele, U. (2009). Situational and individual interest. In K. R. Wentzel & A. Wigfield (Eds. ), Handbook of motivation at school (pp. 197–222). New York: Routledge. Schunk, D. H., Meece, J. L., & Pintrich, P. R. (2014). Motivation in education: Theory, research, and applications (4th ed.). Upper Saddle River, NJ: Pearson. Skinner, B. F. (1963). Operant behavior. American Psychologist, 18(8), 503-515. Tüzün, H., Yilmaz-Soylu, M., Karakus, T., & Înal, Y., & Kizlkaya, G. (2009). The effects of computer games on primary school students’ achievement and motivation in geography learning. Computers & Education, 52, 68-77. Wentzel, K. R. (2000). What is it that I’m trying to achieve? Classroom goals from a content perspective. Contemporary Educational Psychology, 25, 105–115. Weiner, B. (1986). An attributional theory of motivation and emotion. New York, NY: Springer-Verlag. 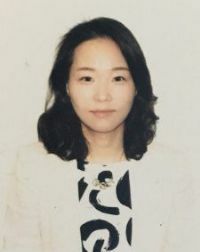 Seung Won Park is a research professor in the Institute for Teaching and Learning at Daejeon University in South Korea. Her research interest includes enhancing learner motivation and engagement in student-centered, technology-enhanced learning environments.